Crowns restore and enhance both your smile and your chewing function. They represent a wonderful way of improving the strength, durability and function of your existing teeth. A crown is a cover or “cap” which is put on a tooth. It sits completely over your tooth (or implant) right down to the gum line. It acts like a helmet against the forces of chewing, protecting the tooth underneath and improving its appearance. The crown restores the tooth to its normal shape, colour, size and function. The purpose of a crown is to make the tooth stronger or improve the way it looks. About a third of the Western population have at least one dental crown and as we age the likelihood increases. Teeth that are heavily filled are more likely to break or fail and need larger filings. This cycle of filling teeth continues until a crown becomes a better treatment option thus protecting what tooth you have remaining. – Want to cover a discoloured or badly shaped tooth and improve your smile. Our team at Cathedral Dental possess a great deal of experience in planning and preparing dental crowns of the highest quality. Each crown is individually crafted by our highly skilled team of dental technicians to create durability and an appearance that is both natural looking and healthy. All our crowns are made in Perth personally by Holger Denahu who is a master German technician with over 30 years experience. Our Procera Zirconia Crowns are manufactured in Sweden after the impressions are scanned here and sent to Sweden electronically where the crowns are milled and sent back to Holger for final colour preparation. Holger makes all other crowns with materials that meet the Australian Standards. All our crowns and bridges carry a 5-year manufactures warranty. To find the crown which best suits your problem and budget, talk to our dentists who will recommend the best option as each individual presents with different requirements and needs. Procera crowns are ceramic and totally metal free. Procera crowns are made of a biocompatible substance, which prevents the risk of an allergic reaction. The strength of the zirconium oxide allows the Procera crowns to be used with any crown or bridge cement. Zirconia has a flexural strength and fracture toughness twice as high as that of alumina, which makes zirconia very resistant to masticatory (chewing) forces, while maintaining an exact precision to fit. 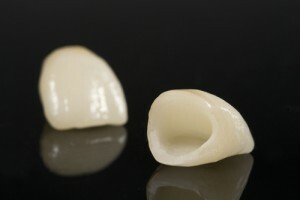 So a successful crown relies on the correct diagnosis, quality treatment from the dentist, and you with your aftercare.